We offer a range of Apps covering the entire National Curriculum from KS1-4, taking you all the way through school. They’re available through the App Store, you can see everything we have to offer here. Merging interactive games with official curriculum content, our apps allow users to access constructive revision anytime, anywhere. 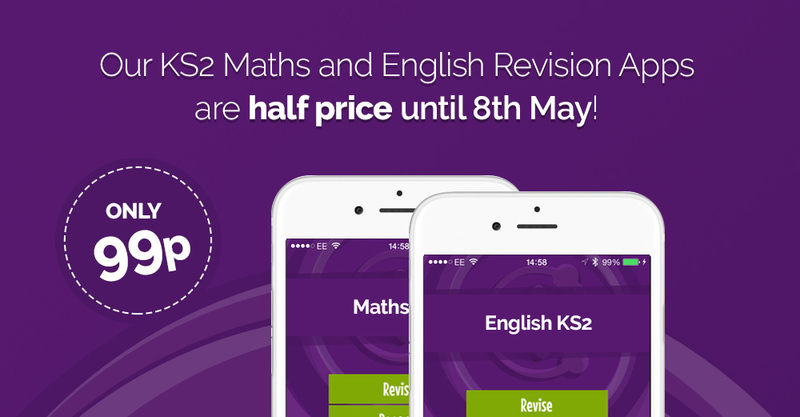 In the lead up to the Year 6 SATs for KS2 we have made the KS2 Enligh and Maths Apps 99p. They’re perfect for revision, and with the game style children are having so much fun they don’t know they’re learning! I'm year 9 and This is the best app I have seen so far, easy to understand and covers everything that I need to know. Simply the best! I really love this app as it repeats a few questions which I answer incorrectly very frequently and it really helps me to remember the very important bits for certain topics. This is a great little app. Games make the learning fun for my son. Cheaper than buying a KS2 revision book from WHSmith. I've bought the full series of them now! Highly recommend. We understand it is imperative that teachers have proof of what their students have learned.